Grade II listed townhouse only 5 minutes from both beach and town. Sleeps 12 in 6 double bedrooms with 4 bathrooms. Stylish, contemporary décor. Perfect setting for family or friends get-togethers. Newly renovated town house in Scarborough. The property sleeps 12 and has 6 en suite bedrooms, large open plan kitchen, lounge and dining area which seats 12. Hot tub. 5 minutes walk from the beach. Two stunning townhouses next door to each other with interconnecting door creating a 12 bedroom, all en suite, property which sleeps 24 in Scarborough town centre. 5 mins walk to beach. 2 hot tubs. 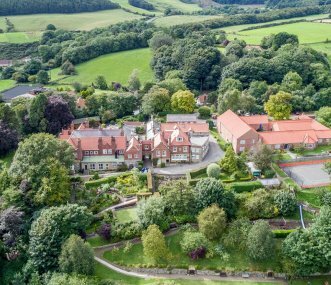 1920's Victorian mansion set in 11 acres of grounds, nestled in the North York Moors National Park and Heritage Coast. 67 en suite bedrooms sleeping 126, ideal for large groups, conferences, schools. 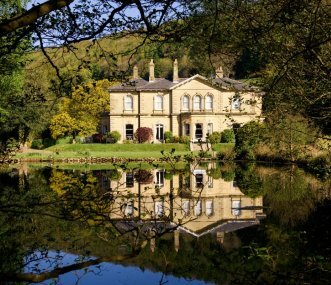 19th century Grade II Georgian manor in 17 acres of beautifully manicured grounds, on the edge of the North York Moors and the River Derwent. Sleeps 59 for celebrations, business events, group stays. With access to Filey's stunning strip of golden sand a few steps away, our 13 person holiday home is the perfect place to relax and make new memories with friends and family. 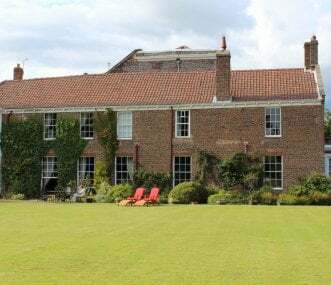 South Wing is a beautiful grade II* listed house in the village of Hunmanby, North Yorkshire, nestling on the edge of Hockney country, the Yorkshire Wolds and only two miles from the sea. Come and stay in this luxurious complex in Hunmanby, the gateway to the Yorkshire Wolds and minutes from Filey Bay, complete with a large hot tub; you can even pull your own pint in the private bar! A grand former gentleman's residence, Bourne End House boasts original features, large garden with play area, private pub with draught beer, hot tub, jacuzzi bath; perfect for family celebrations! Beautiful Luxury barn conversion sleeps 22 in 10 beds, 8 ensuites situated near Filey & Scarborough on the north yorkshire coast. Hottub. Large dining table to seat 22. 15 minute walk to the beach.